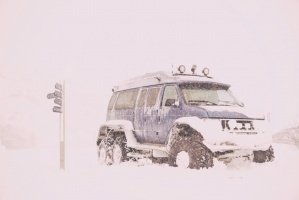 Travel through Iceland’s stunning winter landscapes aboard a 4x4 off-road vehicle. Discover the secrets of South Iceland en route to the iconic Jokulsarlon Glacier Lagoon and get off the beaten track to explore Thorsmork Nature Reserve. 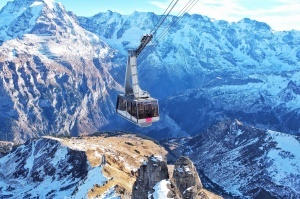 What makes this tour unique is the small group size, making it possible to enjoy exciting adventures along the way, such as glacier hiking, lava cave exploring and bathing in a secret lagoon. This tour is guided by an experienced driver-guide who will share with you his extensive knowledge and love for his country. Arrival. 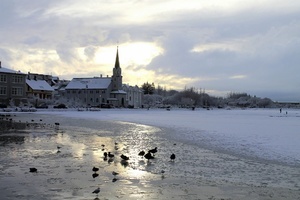 Overnight stay in Reykjavik. Breakfast at your hotel. Meet your driver-guide, who will brief you on the day’s excursion. Today you will be an explorer as well as a traveller! It's important to know that your guide will adjust the itinerary to snow- and and weather conditions, to make sure that each day is an adventure. Once you leave the city limits, it won’t take long to reach remote areas. Hopefully we can start the day with an easy caving expedition into an ancient lava tube. After emerging from underground, we will drive through an area of local farms to gain more understanding of how people live their daily life in Iceland’s countryside. 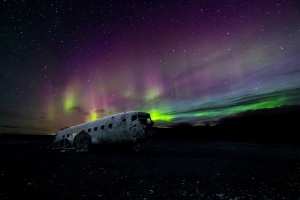 Upon reaching the area of Eyjafjallajokull, the volcano that caused air traffic chaos in 2010, it will soon be time for a break to savour a gourmet picnic lunch featuring local specialities. Next we visit one of the numerous waterfalls of the south coast. We hope to reach a waterfall, accessible only to small groups, where we will spend ample time to enjoy this hidden gem. Then climb aboard the 4x4 vehicle again, to drive along part of the south coast’s famous black-sand beaches. Continue to Skaftafell National Park, don crampons, and with ice pick in hand, hike on Svinafellsjokull glacier itself. Finally enjoy the famous Jokulsarlon Glacial Lagoon, with its colourful icebergs and lazy seals. Head to Hrifunes guesthouse for another relaxing evening. 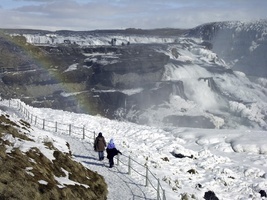 End the day by visiting the three pearls of Iceland’s Golden Circle region: the big waterfall Gullfoss, the spouting hot spring area of Geysir and the national park and UNESCO site Thingvellir, location of Iceland’s first parliament and the meeting point where two tectonic plates are slowly but steadily separating. Your guide will bid you adieu with a taste of Iceland’s famous schnapps, Brennivin, and a bit of fermented shark meat to go with it. It may not sound tasty, but wait until you've tried it! Overnight at hotel in Reykjavik. Transfer to the international airport (not included). 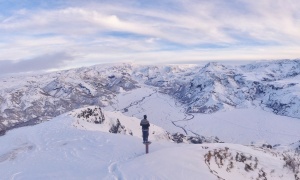 We have just come back from fabulous 5 days in Iceland. We went on exploring the South Iceland on Super Jeep tour. It was really great! We explored lava fields, caves, waterfalls, black sand beaches, glaciers, natural hot pools and many more interesting sites. This was my first time experiencing Iceland and it was an awesome experience. The guide was really knowledgeable, telling us interesting facts about Iceland . The mountain road was a real excitement. All 5 days were awesome and we look forward to coming back to Iceland some time again. Highly recommend this tour. Diana L.
This tour stays in hotels with private bathrooms. Most of the groups stay at the following hotels. Please note this is an advised hotel list and subject to change. 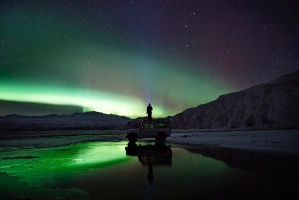 *Please note that the northern lights are a natural phenomena, and seeing them cannot be guaranteed. Maximum group size: 12 participants.